I remember creating little houses for my toys when I was little, usually out of shoe boxes. I’d have fun drawing little things on the walls and little rugs on the floors. 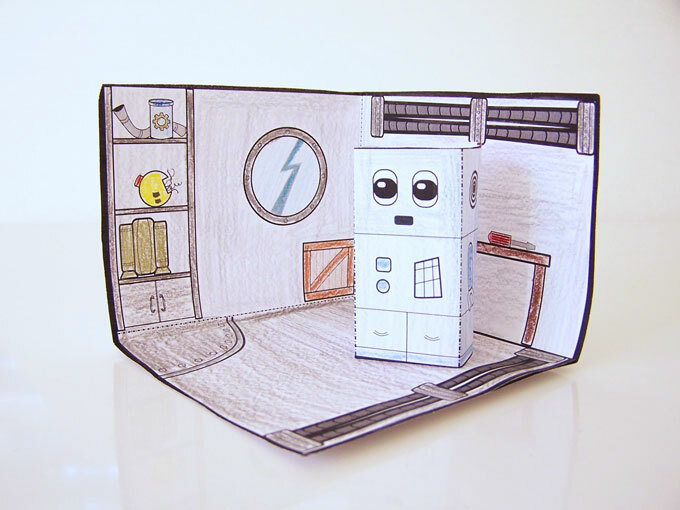 Remember the cute little robot and his hover car from my Robot Craft Pack? Well I decided he needed a place to live. I created a couple rooms of a little house for the boys to play with. 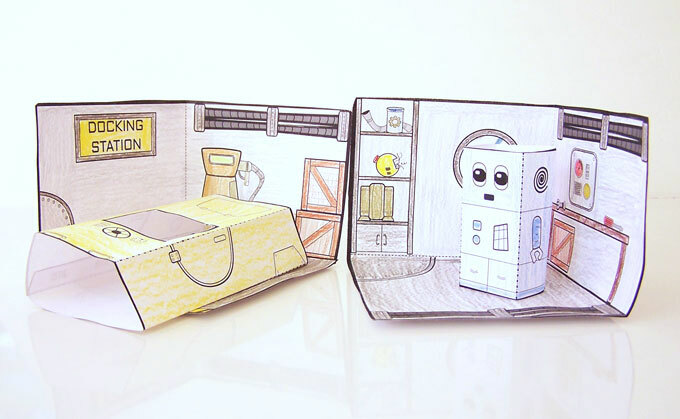 But the great part is that these free printable play sets would work with any small figures. 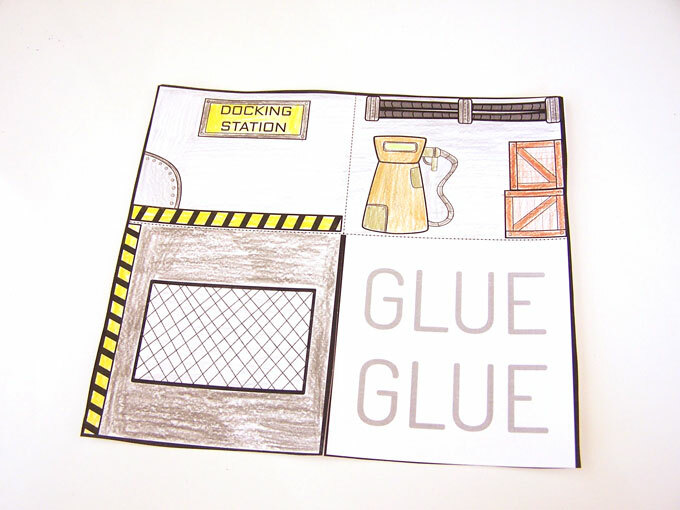 Click here to download the printable robot house and docking station. 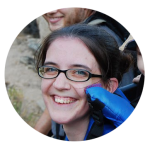 I printed mine on regular printer paper, but you can use cardstock as well, especially if you want them to hold up well. 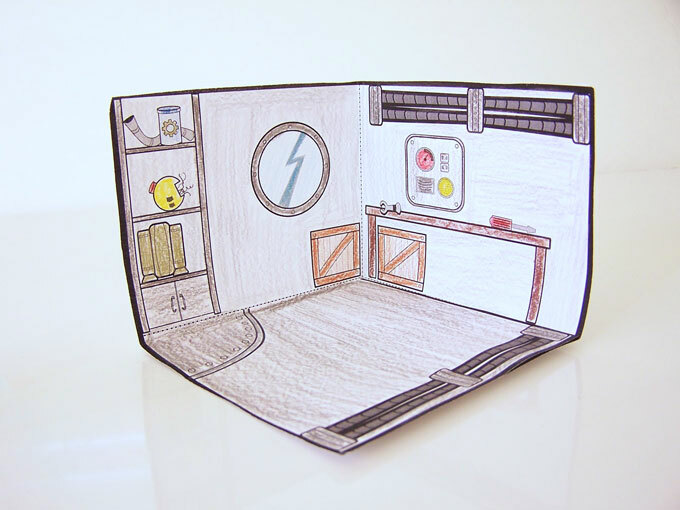 You can leave the playsets blank, or color them like I did. To put the robot house together, start by cutting out around the black line. 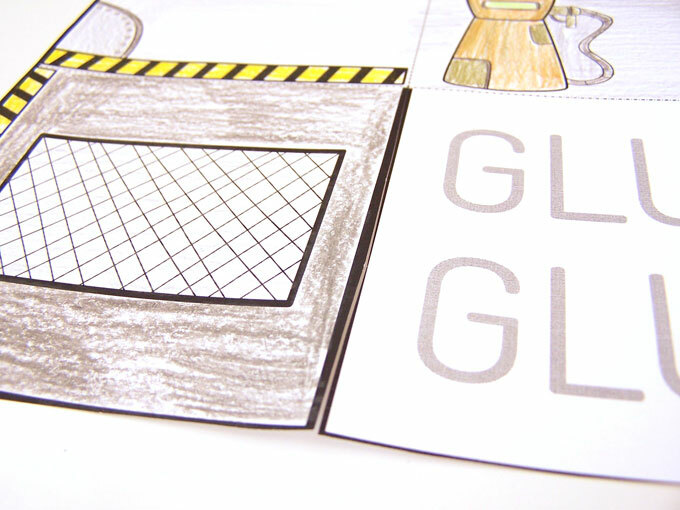 Then cut along the solid black line to the middle – this will let allow us to make the robot house into a 3D craft. 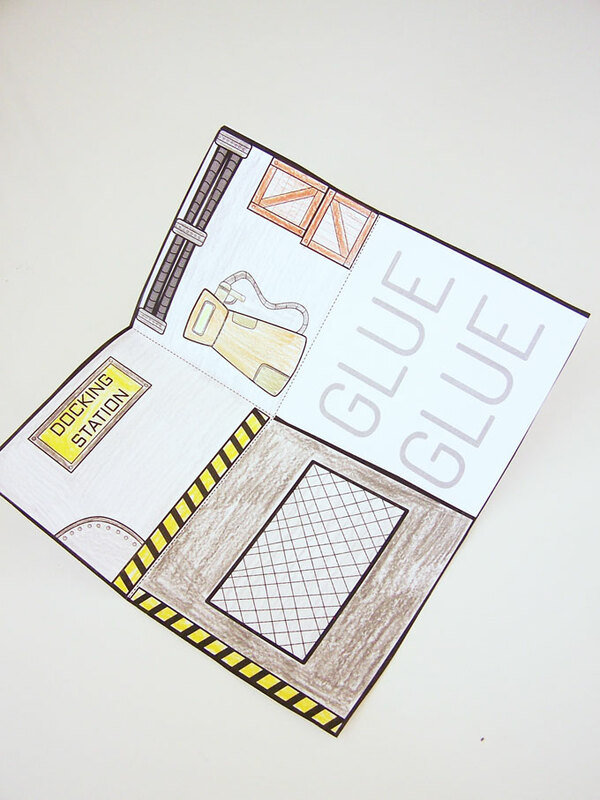 Glue all over the glue tab. Then place the other side of the floor on top. Now we have the docking station together. 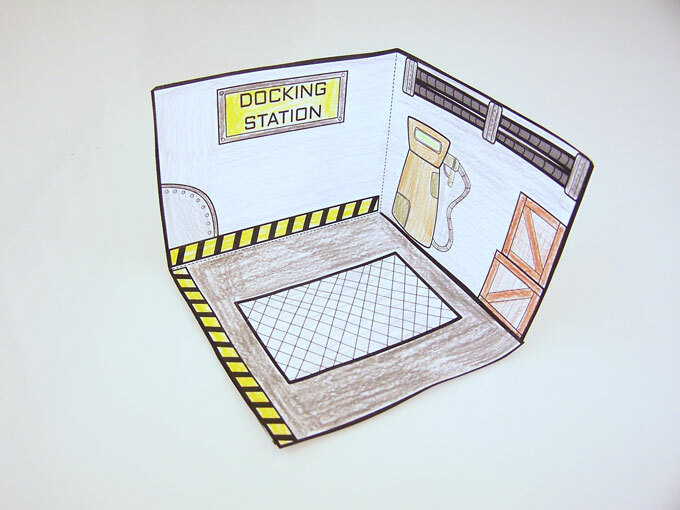 Just follow the same directions for the workshop, and we have two rooms for our little robot house. 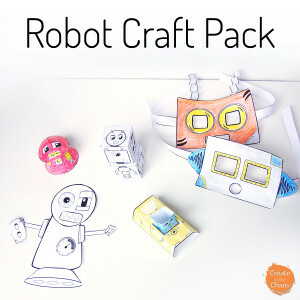 You can use the robot figure and hover car from my robot craft pack to play in the set. 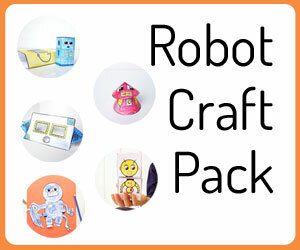 Or your child can use figures or simple create their own little robot. The car craft can slide right into the docking station to get refueled. 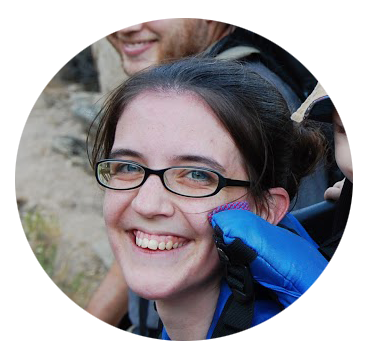 And then the little robot is ready to go! 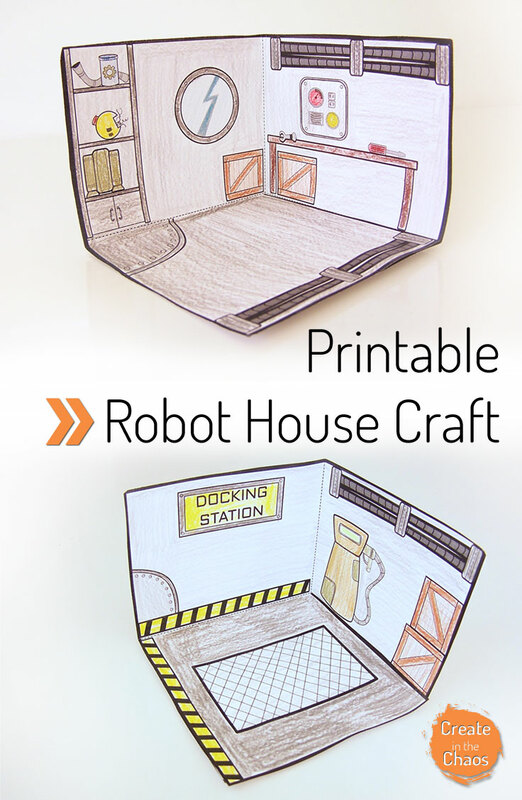 Hope you enjoy the printable robot house! I’m planning to add on more rooms in the future to expand it.